What brought you to CrossFit in the first place? After 10 years of competitive swimming, I decided to put that aside so I can coach my own swim team, but I still wanted to do something with my fitness. I tried running, I tried bodybuilding, but nothing seemed to satisfy my need for competition and my need to become an overall better athlete. I felt like my fitness was going nowhere, so I decided to do CrossFit and I’ve never looked back. I still swim and run and do all the other things I used to do to compliment CrossFit, but now I feel like I found purpose and fun in training again. What was your first impression? How has that changed? I was a little nervous at first, since I am a pretty shy guy, but after the first workout I was hooked. Everything that I missed from competitive swimming, I found in CrossFit : The community, the competition, and being surrounded by people that want to be better while having fun. It’s awesome. What was your first highlight? The one highlight that I can remember clearly is finishing 17.5. I once considered 95 lbs thrusters the heaviest thing in the world to me, and double under’s was something I was not able to do, even months after I joined the box. That workout proved to me that I am capable of more than I think I am. 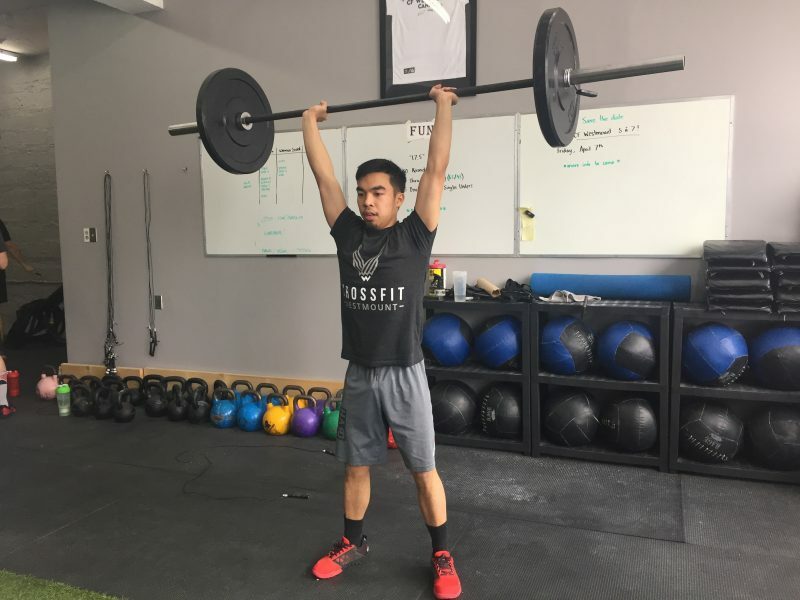 What are you working on improving now in CrossFit? Currently I am focusing a lot more on strength, meaning anything that includes barbells, dumbbells, and so on. I feel like that’s my biggest weakness, but everything else needs improvement too. What is your favorite CrossFit Westmount memory?